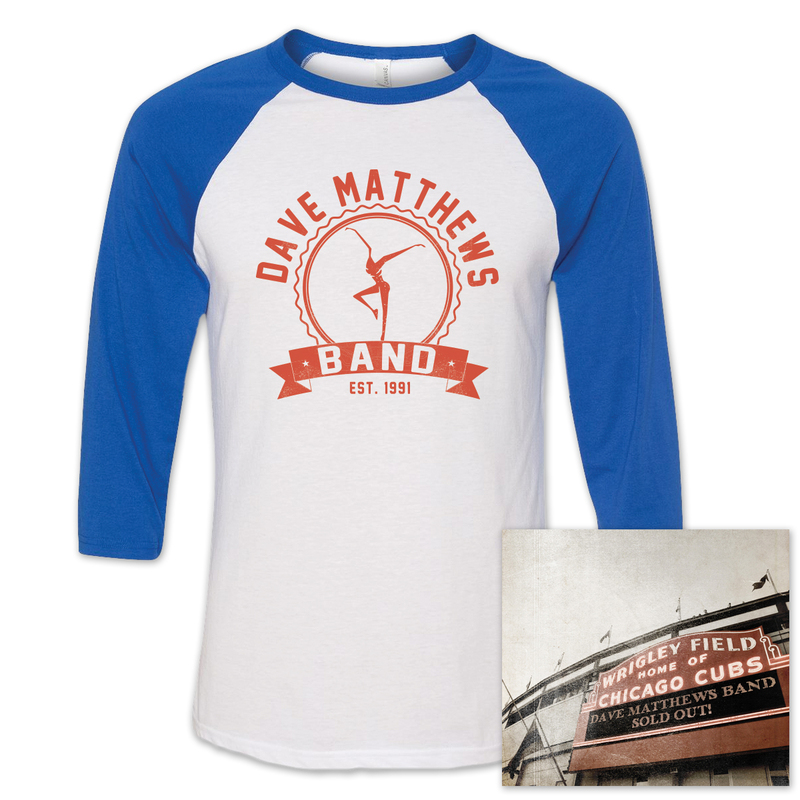 Show your Chicago spirit with this hot new bundle. 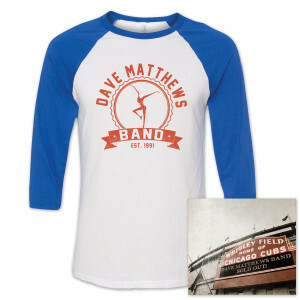 Includes DMB Live at Wrigley field and a baseball inspired 3/4 sleeve raglan shirt. Please note - bundle scheduled to ship on or around November 7.